The panorama of the Langhe and Monferrato is diverse: a succession of vineyard-covered hills interspersed with villages and castles. The Lago Maggiore is a much coveted tourist destination, out of whose shores emerge villas surrounded by English gardens. Piedmont is widely considered Italy’s Alpine region par excellence. Its very name “at the foot of the mount” conjures up suggestive images of snow-covered peaks and some of the highest massifs in Europe. Monviso, the Piedmontese slopes of Monte Ross, contains a landscape of singular beauty. Its numerous ski areas, including the Via Lattea and Sestriere, welcome lovers of winter sports. Wide and picturesque valleys open up at the base of the Alps: the Val di Susa, the Valsesia and the Val d’Ossola among others. There are many other faces to the region in addition to nature, from Turin, Italy’s automobile capital full of history and a notable artistic heritage, to its other historic cities such as Cherasco, Alba and Ivrea. Then there are the alluring medieval castles, of which the Castle of Ivrea stands outs, the precious examples of architecture like the famous Residenze Sabaude and the Sacri Monti. The historical spatowns of Acqui Terme and Vinadio offer cures and treatments for a getaway of well-being and relaxation. Typical specialties of the regional cuisine are fondue and cauda sauce: sauces enhanced by the use of tartufo di Alba and fresh greens. Also exceptional are the gran fritto misto, the braised beef al barolo, hare in civet and the ample selection of local cheeses: tome de Savoie, robiole, bruss delle Langhe, gorgonzola di Novara, sernium di Biella. Concerning sweets: Turin has cioccolatini, Novara biscotti, Vercelli its bicciolani, Casale the “crumiri”, and Cuneo the Rum Cuneesi and frosted chestnuts, Albe has torrone, at Alessandria and Asti there’s the baci di dama (lady’s kiss) and at Novi the macaroons. 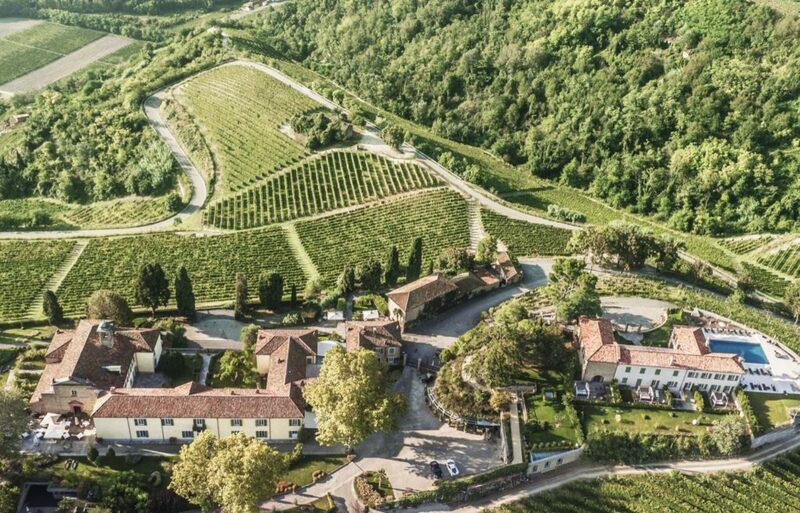 Piedmont produces some of the most highly regarded of Italian wines: Barolo, Barbaresco, Gattinara, Ghemme, Nebbiolo, Freisa, Grignolino, Barbera, Dolcetto. Piedmont is the guardian of a white wine par excellence: the Gavi. Obtained from Cortese grapes, a vine of ancient origins that covers about 1,500 hectares, Gavi DOCG is produced in three different types: still, sparkling and bubbly. A special wine, pale yellow color, elegant aroma, conquers the palate with its dry and fresh taste. One of the finest white known and loved in the world. Piedmont is widely considered Italy’s Alpine region par excellence. Its very name “at the foot of the mount” conjures up suggestive images of snow-covered peaks and some of the highest massifs in Europe. Monviso, the Piedmontese slopes of Monte Ross, contains a landscape of singular beauty. Its numerous ski areas, including the Via Lattea and Sestriere, welcome lovers of winter sports. Wide and picturesque valleys open up at the base of the Alps: the Val di Susa, the Valsesia and the Val d’Ossola among others.